Autumn is an ideal time to search for fungi and you can spot several varieties when walking through any of our woodlands and glades. Here is a selection found on a short fungal foray in November 2012. Jelly Ear Fungus. 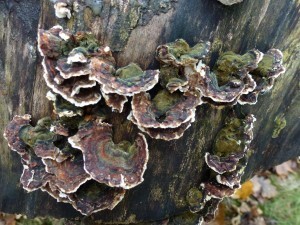 This is an edible fungus that grows on standing trees as well as on fallen wood. 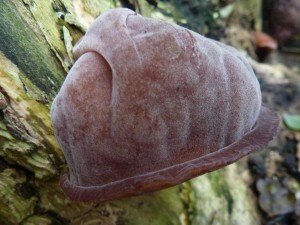 Although it prefers elder trees, it can be found growing on most broadleaf trees such as beech, ash and willow. 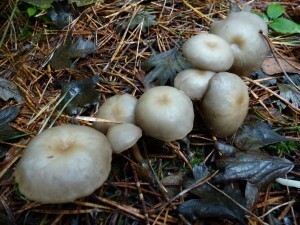 It can be found throughout the year but especially in late summer and autumn. Wrinkled Club Fungus has been abundant across the Reserve in 2012, growing in large groups under areas of pine trees. 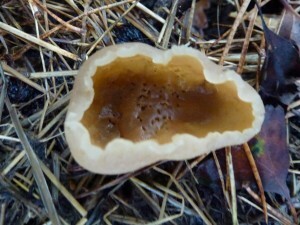 This is also an edible fungus. 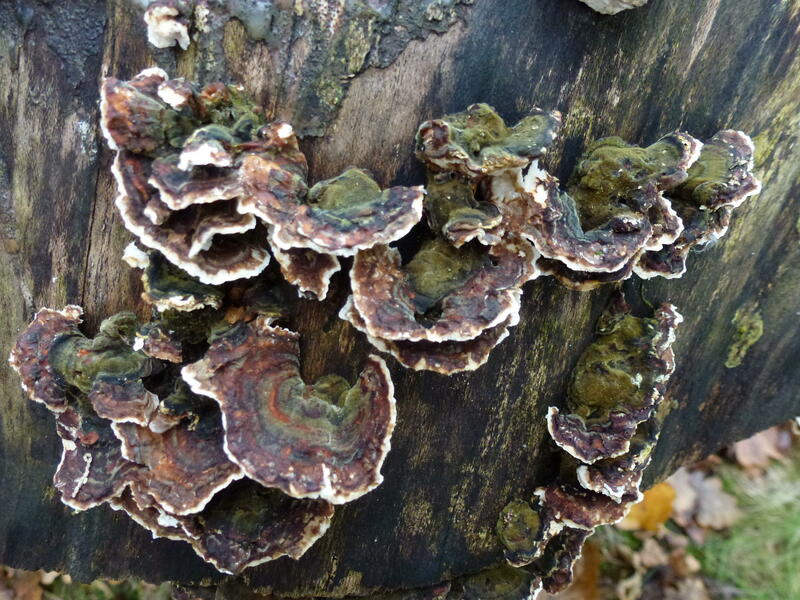 Smokey Bracket Fungus often spreads over fallen logs and stumps of broadleaf trees. It is not edible. can be found all year round, it is best looked for between June and November. 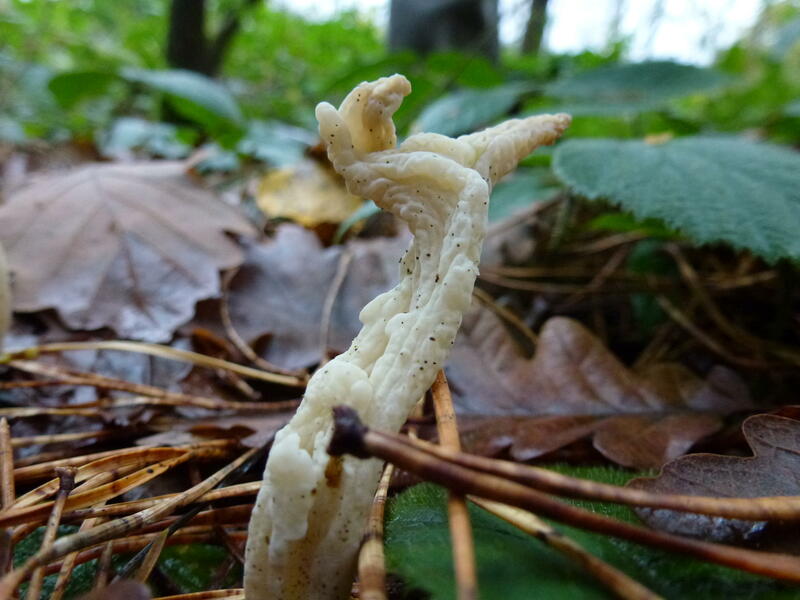 Clustered Toughshank Fungus lives up to its name and forms densely packed clusters in both broadleaf and coniferous woodlands. 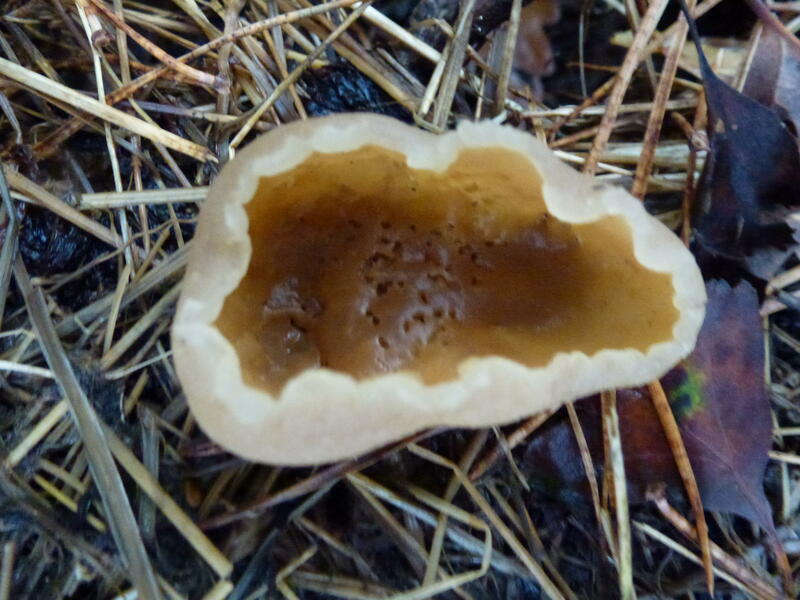 It appears to be growing from the woodland floor or in grass at woodland edges but there is often buried rotten wood just below the surface on which this fungi feeds. This is also inedible.